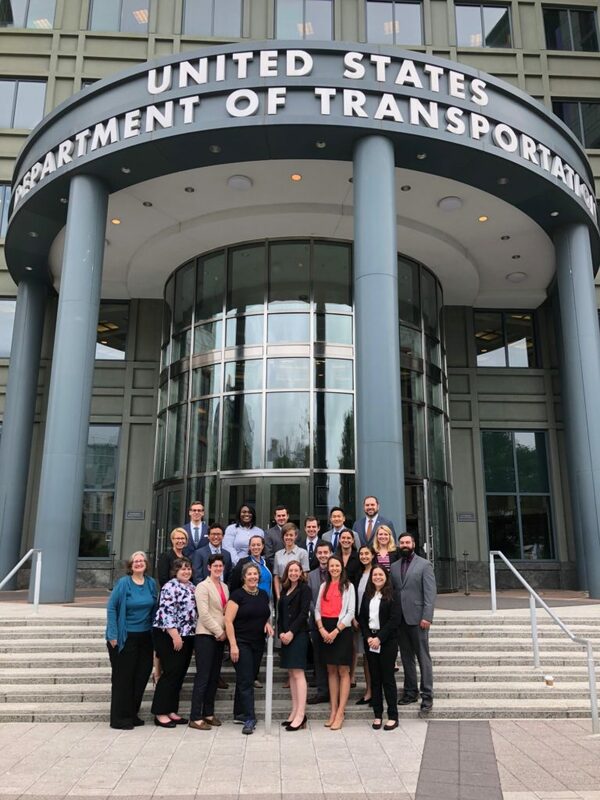 For over 26 years, the Eno Center for Transportation has recruited the best and brightest graduate students in transportation to the nation’s capital as Fellows for the Future Leaders Development Conference (LDC), an “inside the Beltway” look at how U.S. transportation policy is crafted. Prominent individuals from across the transportation sector provide real world insights on the hot topics across transportation, with presentations on everything from automated vehicles to freight. In the morning, Robert Puentes, Eno Center for Transportation, provided a state of the transportation union. Then the fellows met with Jeff Davis, Senior Fellow & Editor, Eno Transportation Weekly, Eno Center for Transportation, Joung Lee, Associate Director for Finance and Business Development, American Association of State Highway Transportation Officials, and Beth Osborne, Senior Transportation Advisor & Director of Technical Assistance Program, Transportation for America to talk about funding the future of transportation. In the afternoon the fellows focused more on local and state level transportation politics hearing from Shyam Kannan, Managing Director of Planning, Washington Metropolitan Area Transit Authority, Ed Crooks, Vice President of Development, Transurban, Paul Comfort, Vice President for Development, Trapeze Groupand Emeka Moneme, Deputy Executive Director, Federal City Council. To close out the day the fellows learned about commuter and intercity rail from Ron Hartman, Regional Director of North American, Network Rail Consulting, Tom Hickey, Chief Development Officer, Virginia Railway Express, Michael Lestingi, Federal Railroad Administration and Meredith Slesinger, Senior Director, Strategic Planning, Amtrak. They then got a tour of Union Station and the opportunity to ride the VRE train to Alexandria and learn more details about the commuter service. At the beginning of the day the fellows were given a glimpse inside the U.S. Department of Transportation by Matt Welbes, Executive Director, Federal Transit Administration, Barbara McCann, Director, Office of Policy Development, Strategic Planning and Performance, Office of the Secretary, U.S. 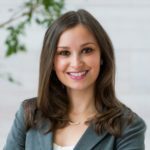 DOT, Avital Barnea, Policy Analyst & Grants Manager, Office of the Secretary, U.S. DOT & 2011 Eno Fellow, Nat Beuse, Associate Administrator for Vehicle Safety Research, National Highway Traffic Safety Administration, and Karen Bobo, Division Administrator (Iowa), Federal Highway Administration. 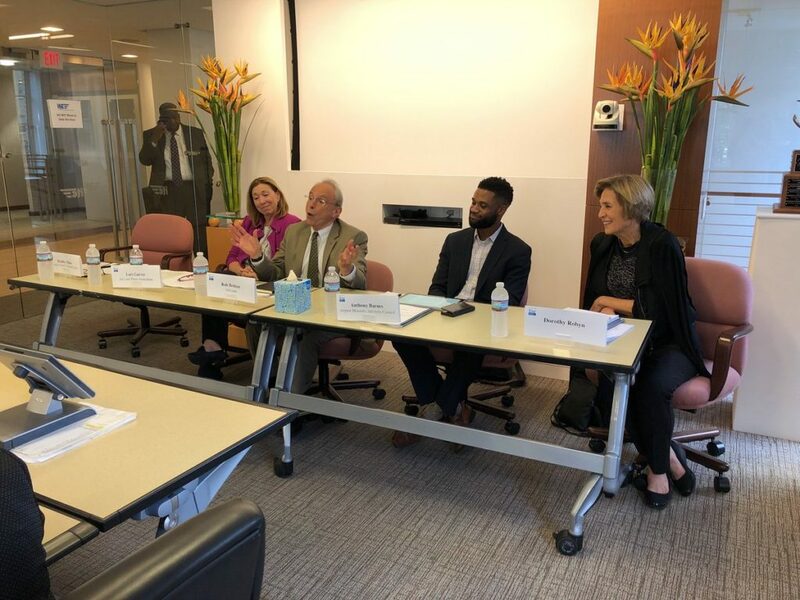 After the presentation at USDOT, the fellows listened to Trish Hendren, Executive Director, I-95 Corridor Coalition & 1999 Eno Fellow and Bill Keyrouze, Technical Programs Director, Association of Metropolitan Planning Organizations speak about metropolitan and statewide planning and performance measures. Directly following the metropolitan and statewide planning talk the students made their way up to Capitol Hill for a briefing on how transportation policy ideas become federal law. 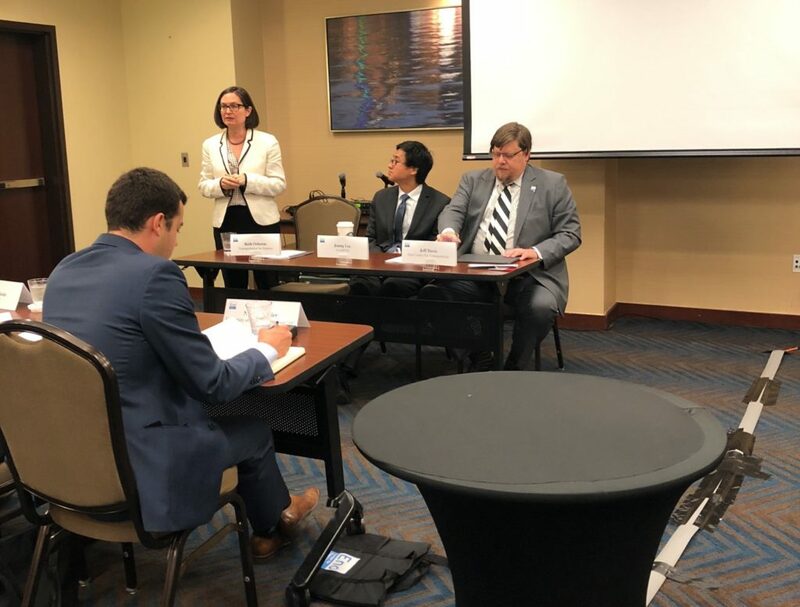 They heard from Bill Hughes, Policy Director for House Majority Whip Steve Scalise (R-LA), David Napoliello, professional staff, House Highways and Transit Subcommittee (Democratic), and Hunter Presti, professional staff, House Aviation Subcommittee (Republican). In the evening, the fellows participated in a Trivia Night co-hosted with the Young Professionals in Transportation, for a great night of networking and transportation-related trivia. Team Verbal Government Approval won the day, in contrast with their namesake. The fellows started out their morning with a presentation on emerging transportation technologies by Jessica Nigro, Manager, Outreach and Innovation Policy, Daimler North America Corp., Gregory Rodriguez, Of Counsel, Best Best & Krieger LLP, Andy Palinasamy, Solutions Group Strategy Lead – Global Strategy @ Ford Smart Mobility, and Malcom Glenn, Strategic Partnerships & Policy, UBER. The fellows then had the opportunity to hear from Anthony Barnes, Business Development & Member Services Director, Airport Minority Advisory Council, Lori Garver, General Manager, Air Line Pilots Association, Bradley Mims, President, Conference of Minority Transportation Officials & Board of Directors, Metropolitan Washington Airports Authority, and Dorothy Robyn, Independent Consultant & Former Special Assistant to the President for Economic Policy on how federal transportation policy and the aviation industry intersect. In the afternoon the fellows heard a presentation freight transportations role in federal transportation policy from Ashleigh de la Torre, Senior Manager, Public Policy, Amazon, John Young, Director of Freight and Surface Transportation Policy, American Association of Port Authorities, Leslie Blakey, President, Coalition for America’s Gateways & Trade Corridors, and Amy Hawkins, Vice President, Federal Government Affairs, BNSF. On the last day of the conference the fellows heard how lobbying really works from panel Chuck Baker, President, National Railroad Construction & Maintenance Association, Martin Whitmer, Partner, Whitmer and Worral, Ed Mortimer, Vice President, Transportation Infrastructure, United States Chamber of Commerce & Executive Director, Americans for Transportation Mobility, and Leslie Pollner, Senior Policy Advisor, Holland & Knight LLP. 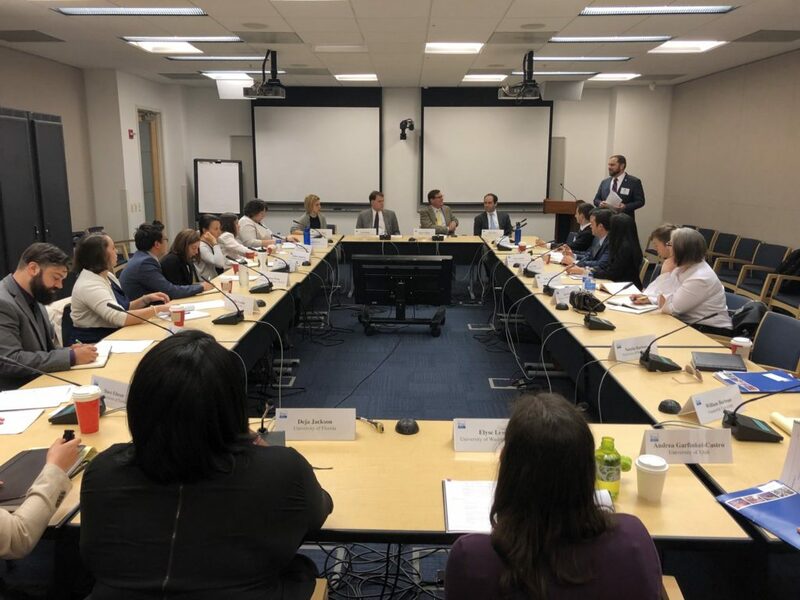 Then the fellows were able to hear from Emil Frankel, Senior Fellow, Eno Center for Transportation, Michael Grant, Vice President, ICF International, and Kathryn Zyla, Deputy Director, Georgetown Climate Center, Georgetown Law on sustainability and climate change in transportation. In the afternoon the fellows participated in a roundtable discussion with transportation leaders and Eno Board of Regents that included Matt K. Rose, Executive Chairman, BNSF Railway, Carolyn Flowers, Americas Transit Practice Leader, AECOM, and Robert Poole, Director of Transportation Policy, Reason Foundation. Members of the Eno Board of Directors then discussed career development with the fellows. 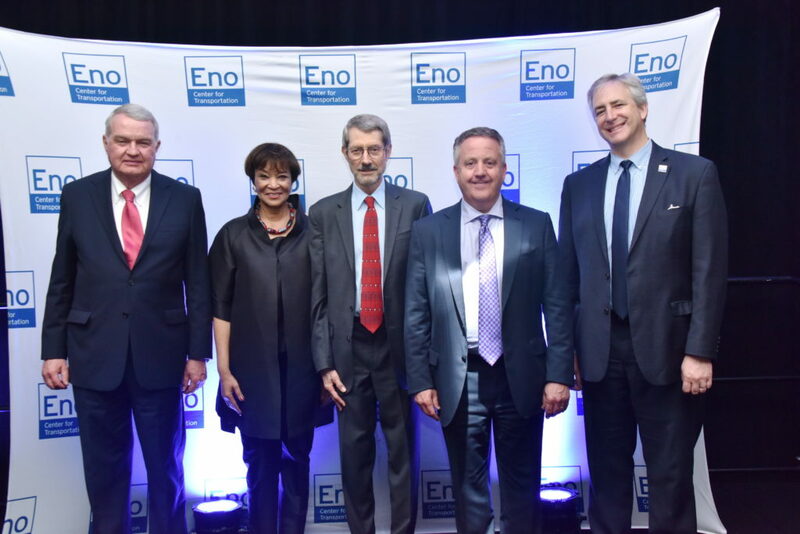 The week of events culminated in the Eno Leadership Awards Dinner. Following a reception sponsored by Venable, over 200 guests sat down to dinner. The Fellows received their certificates and officially joined an alumni network of over 4oo other LDC fellows and nearly 2,000 alumni from Eno’s Leadership courses. 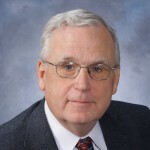 Additionally, the Eno Center for Transportation honored Robert Poole, the recipient of the Thought Leader Award, for his work on air traffic control reform. 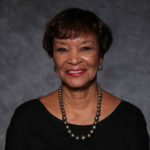 Carolyn Flowers, Americas Transit Practice Leader, AECOM and Former Acting Administrator, Federal Transit Administration, received the Friend of Eno Award for her years of support and involvement. Finally, the Lifetime Achievement Award was presented to Matt Rose, Executive Chairman at BNSF Railway, for his contributions to the transportation industry. To view additional photos of the LDC Awards Dinner, view the slide show below or click here.